The Bharat Interface for Money Application also simply known as the BHIM App is a digital payment app which is based on the Unified Payments Interface (UPI). The UPI is a payment system from the National Payments Corporation of India (NPCI), it enables transfer of money between any two bank accounts. The prerequisite for using this app is that your account needs to be registered for making UPI based payments. With current policies focusing on measures on moving away from a cash intensive economy, this app was launched in line with the aim of promoting a cashless economy in India. Digital transactions are being pushed to take over physical currency transactions, as this will lead to a more transparent and accountable economy. BHIM is an initiative taken by the Indian Government to make payments simple and digitized. Click on the Play Store option. Click on the ‘search’ bar and type BHIM. A small tab of the BHIM will appear, click on it to proceed to the BHIM app page. Select the ‘install’ option to install the app. Click on the installed app to start using it. It allows you to transfer money to any bank account. The person you are paying to does not need to be registered. You can transfer money 24/7, throughout the year. The payee’s bank account details are not required to make the payment. 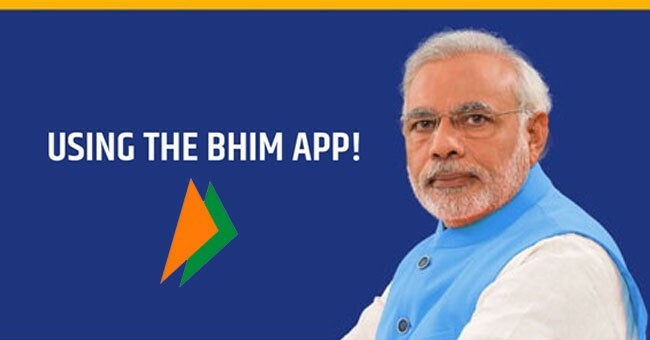 The BHIM app allows you to transfer money by only using the payee’s mobile number. In the future versions of this app, you would also be able to authenticate the money transfer by using your fingerprints in addition to the UPI PIN. The BHIM app enables you to transfer money to a virtual payment address and a bank account. It can be used in phones without an internet connection. It has a ‘scan and pay’ facility which allows you to scan QR codes to make faster payments. You can check the account balance of your bank account. You will be assigned a personal QR code to facilitate faster payments. In case of any problems, you are given a link through which you can call up the respective bank to sort out the issue. It allows you to block spammers. Aadhar number can be used to transfer money. This option, however, is only limited to accounts that are Aadhar linked. You can report issues through the app. As explained before, the first step begins with downloading the app from the ‘Play store’ and installing it. Click on the BHIM app icon to open it, you will be asked to set your language preference the first time you open it. The app will then give you a brief idea about its basic features. The next step involves asking the user’s permission for sending and viewing SMS, this is necessary for phone number verification. In case of dual SIM phones, you will be asked to select a SIM – use the SIM linked to your bank account. In the next step, you will be asked to set up a passcode. A passcode is a 4 digit PIN (Personal identification number) that you would need every time you use the app. The next window takes you to the dashboard of the app. The dashboard has an option to link a bank account to the app. The BHIM app allows you to link only a single bank account. To get started, select the name of your bank from the list. Your account details with the respective bank will appear, you need to select it to link the account with the app. You can change your bank account in the future by following the same procedure. The UPI PIN is required to authenticate a money transfer through the app. Click on the bank account. You will now see the linked account. The status of your UPI PIN can be seen just below the bank account (setting up of the UPI PIN has been described in the previous sections). Click on the option ‘Reset UPI PIN’. You would now need to type the last 6 digits of your debit card. You would then be asked for the validity of the debit card. Once you submit the details, an OTP will be sent to you via a text message. Once you have the OTP, type it in the given space and select submit. You will now be allowed to set a new UPI PIN of 4 digits. In order to send money, click on the ‘send money’ option. In the next step, you will be asked to enter the cellphone number of the payee, the payee’s virtual payment address can also be included. You would now be required to enter the amount that you want to transfer. A remarks tab below the amount tab allows you to make remarks. You will then be asked for the UPI PIN. Once you add the UPI PIN, the money is transferred to the payee’s account. An instant notification is sent to the payer once the transaction is complete. Click on the ‘send money’ option. To choose ‘Aadhar Pay’ option, click on the three dots that are on the top-right potion. You would now be required to enter the Aadhar number of the recipient. Click on ‘Verify’, this will verify if the Aadhar number is linked to a bank account. Once the verification is complete, enter the required amount and click on ‘Pay’. Click on the ‘Request’ option on the dashboard to collect money. Enter the mobile number or virtual payment address of the payer. Fill out the necessary amount in the Amount section. Fill out the remarks tab if required. The payer will get a notification on his/her smartphone after which he/she can choose to reject or accept the payment. This app also supports QR code based payments, where you add the amount and remarks to generate a QR code. The payer will then have to scan this QR code in order to accept the payment request. What are the limitations of the BHIM app? At a time, you are only allowed to add one bank account. The number of virtual payment address is limited to two where the first or the default is your cell phone number and the second is a VPA of your choice. Are there any improvements required? The ability to add multiple bank accounts at the same time. The app should be allowed to fetch contacts from the phone. An additional feature to capture QR codes shared with you is required.